One of my favorite activities in Paris is walking the puces or flea markets. I prefer the Clignancourt market which is just at the end of line 4 close to Montmartre. I found this very helpful Girls Guide to Paris post which helped me navigate the streets a little better. Two places for food that I enjoy. The first is right when you exit the metro there is a boulangerie. There is a small chance I like this boulangerie for the fact that I had a pain au chocolat right out of the oven. I don’t know the name but there always seems to be a line which is a good indication that its a good place to stop. The other is Paul Bert which is found on Paul Bert street. I love to pop by and have a coffee up at the bar either at the beginning of my walk or midway through. Here are a few pictures from Paul Bert before starting the to look for my Flea Market Finds. I spent the past weekend in DC catching up with old friends and enjoying the Spring weather and Cherry Blossoms. Everyone should have a friend or two that makes you laugh so hard you start crying. A big thank you to my friend Elizabeth for hosting me for the weekend and showing me around the DC area. She was a great sport for helping me bloom spot and kept me laughing nonstop. We found a row of Cherry Blossoms near Haines Point that was beautiful. 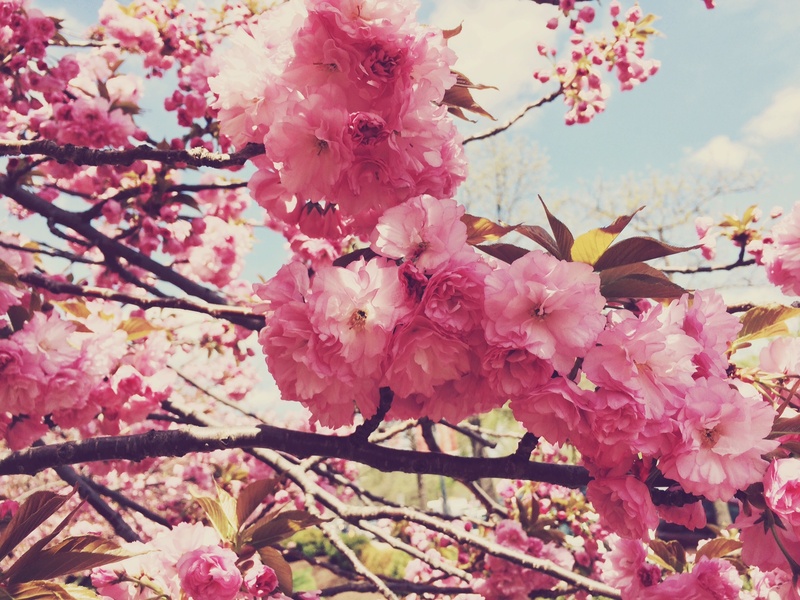 We sat under the trees and enjoyed the sea of pink on a warm Spring day. This Saturday April 26, 2014 I will be at the Pottery Barn in Lincoln Park Chicago for a fun photography event and wine tasting. I will be sharing some of my new Paris photographs from my latest trip. Stop on by and say hello between 1:00 pm – 3:00 pm. In 2010 I took my first solo trip to Paris when I launched my photography business. I spent 10 days photographing the city from sunrise to sunset. My travel schedule happened to overlap with the Easter holiday. I assumed everything would be closed and I would have to make alternate plans for the day. Luckily this wasn’t true at all and Easter in Paris is just as an other Sunday in Paris. The Bastille market is open which is a major plus in my book. Wherever you may be this Easter weekend enjoy it with something sweet! If you are in Paris I recommend a praline egg from La Mere de Famille as pictured below. The other day while scrolling through my pinterest page the Pantone colors for Spring popped up! I was instantly inspired because in my door collection I have all but one of those colors! Any guess which one I don’t have? 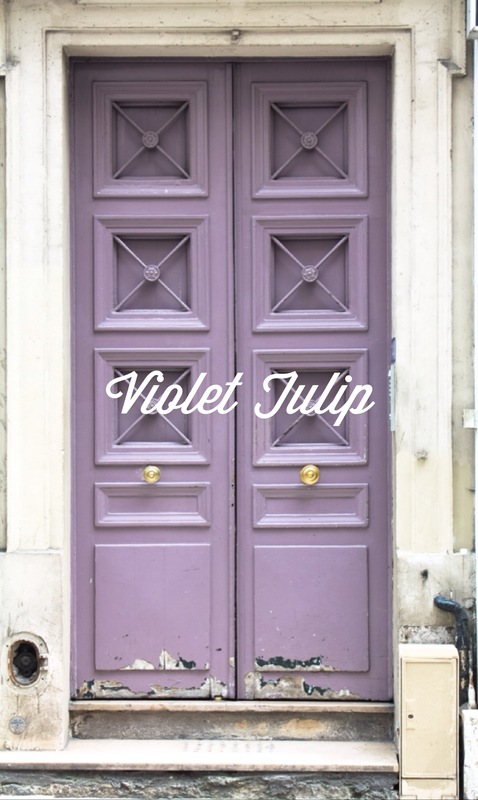 Scroll through for a visual journey of Paris doors in Spring 2014 Pantone colors. This past trip I had the opportunity to get my hands dirty in the kitchen of La Cuisine Paris. I took a fantastic cooking class at La Cuisine Paris When I said I got my hands dirty it really was the case as I had to put down my camera and put one hand on the chicken and the other on the knife. With guided instructions I learned how to debone a chicken. We used the bones to create a chicken stock and the chicken breast for a Paupiette. The Paupiette were stuffed with pine nuts, parmesan cheese, mushroom,basil and more delicious flavors. The chicken stock was used to make the most delicious onion soup. A classic french dish.The recipe was easy and I even tried it at home this past weekend. The finished Paupiette with a sauce to finish it off. We all sat to enjoy the meal we cooked in the beautiful sun lit kitchen over looking the Seine. Along with our paupiette and french onion soup we had a fresh salad with homemade vinaigrette and ice cream with caramel sauce. I can’t wait to check out the Market class and the Croissant Class next!